How to sound more natural when you sing. Too often, either by accident or on purpose, you add stuff to you voice and lose your own natural sound. You end up not knowing what you should sound like naturally. And you don’t know how to find your natural sound. You might even be scared nobody is going to like the sound of your voice. 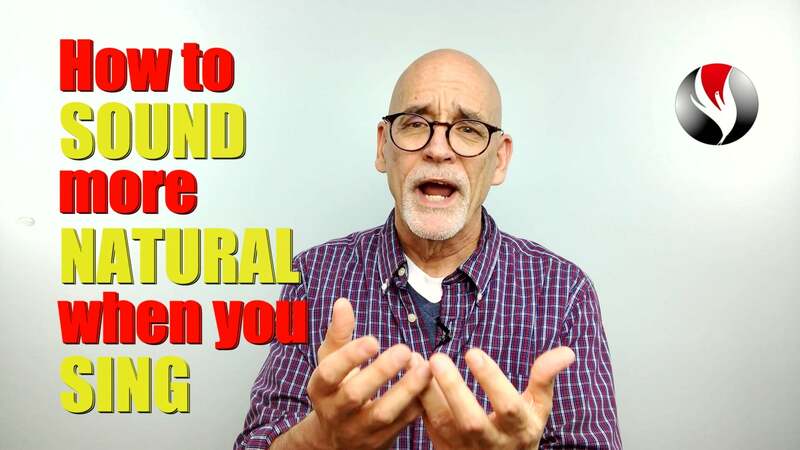 Inside this video I’ll review some problems and reveal the solutions to sound more natural when you sing. Are you ready? First, let’s define what “natural” means when talking about your singing voice. You sound like you do when you talk…if you talk normally. So if you and I meet on the street and have a nice, relaxed personal conversation, the tone of your singing voice should sound the same as the tone of your speaking voice. If it’s not, something is likely unnatural. Natural means there’s no manufactured or manipulated sound created by some special anything coming from your throat, tongue, nose or mouth. There’s no tension, no squeezing, straining, or struggle when you speak so it’s the same when you sing. You’re relaxed, at ease, and comfortable…just like a normal person to person conversation. It’s really pretty simple. You should sound like you. It is not like Gomer Pyle from The Andy Griffith Show. He’s a fictitious character. If you could hear his real speaking voice, he might sound like his singing voice. What are some problems with finding your natural sound? We don’t have a vocal technique to help us sing powerful high notes comfortably. This usually takes training. When we first start singing, most of us have no training. So we create our own bad habits. We squeeze and reach upward with our throats and chin. We sing too loud or too breathy. We crack or break. We jam it into our noses. Eventually we start looking for help to find our natural voice, or we start mimicking other singers. We think we need to add something to our voices to make it sound better. I added a canurdle-sound [demo] trying to make my voice more powerful like others I’d heard. First, embrace your voice. Trust that your unique voice will appeal to others. We want to hear you sing, not you trying to sound like someone else. A special power is released when your voice is heard. We feel your sincerity, honesty and vulnerability. That’s what makes us want to listen to you sing…and we become diehard fans because you are real. Second, get a solid vocal technique that will release your natural sound and tone. I recommend a technique that does not add tension, reaching, yelling, screaming, or any other added anything. Study a technique that enables you to sound like you talk. I teach a technique pioneered by Seth Riggs which is called Speech Level Singing. It means the coordination of your vocal cords and the larynx remain the same whether you’re singing or speaking. It means your words are clearly understood. Third, be patient. It will take you a while to drop bad habits created through years of singing improperly. You’ll need time to create new muscle memory with correct singing technique. Fourth, I recommend you focus first on solid vocal technique. Make this the foundation of your vocal house. Get your technique down so well that you can self-monitor yourself to keep yourself singing well all your life. Whatever style you add to your technique will be the paint, furniture and decorations for your vocal house. With a solid vocal foundation you will have a voice that will last your whole life. Be sure to get your vocal type and do the exercises that will help you sing from chest to head voice without straining, cracking or breaking into falsetto. Go to PowerToSing.com and take the vocal test, which I call the PowerTest. Take the quiz and discover your vocal type. Even easier, download this PDF, or the you can find it in the description below. It contains links to the vocal test, videos and free exercises. The PDF will save you a lot of time. Then visit the Knowledge Center and watch the videos about your vocal type. Download the free exercises and start practicing them today. They’ll get you started on vocal a technique that helps you sound more natural when you sing. 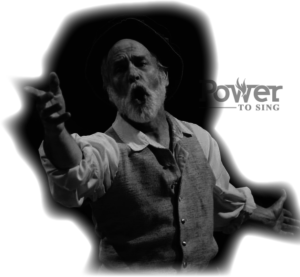 I’d like to invite you to join my on Twitter, Facebook and Instagram @powertosing. Ep.32: How to Sing with Power #2 – Vocal Cords or Psychology? Why I Train Singers – My First Video!